In June, things are going to get pretty weird in NASCAR broadcasting. For the first time, the entire broadcast team will be active drivers—the booth, the pit-road reporters and everyone else. 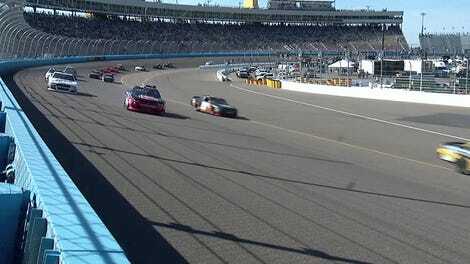 Fox Sports, the broadcaster for that race, said they have free rein “as long as no one sets fire” to the booth. Uh, yikes? According to NASCAR’s announcement, the entire broadcast team for the Xfinity Series race at Pocono Raceway on June 10 will consist of current Monster Energy NASCAR Cup Series drivers. Whether professional substitute racing Jeff Gordon will count by then remains to be seen, but what’s certain is that expectations don’t sound super high. For now, the plan is that Kevin Harvick will lead play-by-play commentary in the booth alongside Joey Logano and Clint Bowyer. Ryan Blaney, Erik Jones and Ricky Stenhouse Jr. will cover pit road, while Danica Patrick and Denny Hamlin hang out in the Hollywood Hotel that checks in on the broadcast periodically. 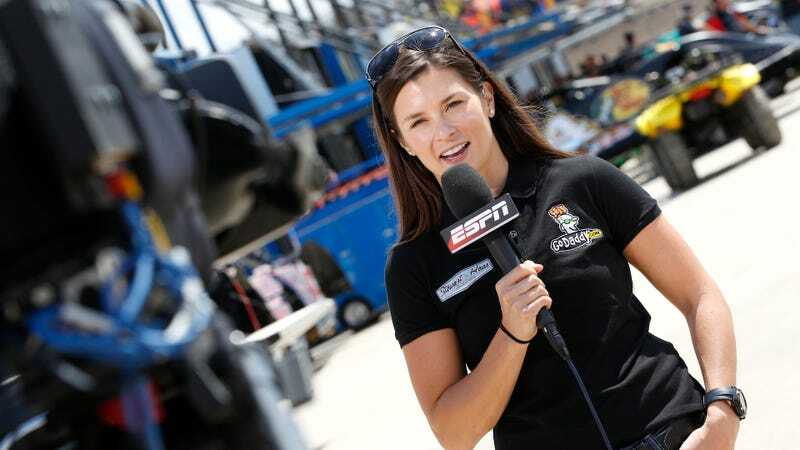 NASCAR said the race is “thought to be” the first time a nationally televised live event has featured an active athlete-only broadcast team. Kevin Harvick is admittedly great in the broadcast booth—so long as his mortal enemy and accused spoon-fed rich kid, Austin Dillon, doesn’t get out of line—but he’s never led play-by-play. Harvick, like any of the other drivers who have stepped in the booth for a lower-series NASCAR race, have only been there to add insight to the broadcast. Mike Joy, who’s been doing this for a while, handles lap-by-lap commentary and all of the catchy advertising lines that are supposed to be thrown in the middle. He weaves everything together, no matter how scattered conversation gets. Doing that is a whole lot more involved than playing backup, regardless of how much experience you have. Only Harvick, Bowyer, Hamlin, Logano and Patrick have been driver analysts in the booth in the past, according to the announcement, which means almost half of the broadcast team will be, uh, lacking in experience. Heck, maybe Entz could go talk to all of our bosses about expectations. If we all just had to come into work and not break things or burn them down, the world would be a much less stressful—but maybe less productive—place.